(i) Lodha Developers Limited is a company with presence in India and the United Kingdom. LODHA Group is the No.1 real estate company in India. The Group is developing an estimated 33.8 million sq ft of the prime real estate with large land reserves in the Mumbai Metropolitan Region (MMR). (ii) They have 37 ongoing projects across Mumbai, Pune, and London. They have a large land reserve of over 4,450 acres with an estimated saleable area of 385 million sq ft as of December 31, 2017. (iii) In November 2013, they extended their international footprint with the acquisition of the landmark MacDonald 1 Grosvenor Square in Prime Central London from the Canadian Government. The Group acquired another premium site at Prime Central London, ‘New Court’ at 48 Carey Street. With offices in London, Dubai and Shanghai, USA and Singapore, the Group is on road to substantial international presence. a) In FY15-16, they completed 6.76 million square feet and 7426 units across projects. b) In FY16-17, they completed 7.76 million sqft. and 5,677 units across projects. c) For 9 months ending December 31, 2017, they have completed 9.29 million sqft and 7438 units across projects. are: a) Offer for Sale of up to 18,000,000 Equity Shares by Promoters. b) Fresh Issue of up to Rs.3750 Cr. The number of Shares will be arrived at after price discovery. The Net Proceeds from the Fresh Issue are proposed to be utilized in the following manner: 1. Reduction of the aggregate outstanding borrowings of our Company on a consolidated basis. 2. General corporate purposes. Promoters of Lodha Developers Limited Company are: (i) Mr. Mangal Prabhat Lodha, is the founder and chief mentor. He founded the business in 1980 after moving to Mumbai from Jodhpur and has single-handedly inspired the Company to its current position as India's largest real estate developer by residential Sales for the nine months ended December 31, 2017 and Fiscal 2017. In addition to his business achievements, he has been Member of the Legislative Assembly from Malabar Hill in Mumbai for five consecutive terms. He is also member of the national executive of the Bharatiya Janata Party. He provides strategic guidance to the Company's business activities. Other ventures and companies in which he is a director includes Lodha Foundation. (ii) Abhishek Mangal Prabhat Lodha, aged 38 years, is the Managing Director and Chief Executive Officer of the Company. He holds a master’s degree in science (industrial and systems engineering (supply chain & logistics)) from Georgia Institute of Technology, Atlanta, United States. He has 16 years of experience in strategy, design, project management, construction, corporate planning, legal and brand communication. Prior to joining our Company, he was working as a business analyst with McKinsey & Company, Atlanta, United States. 1> The Company develops Real estate across the residential and commercial sectors in the Mumbai Metropolitan Region (the “MMR”), Pune and London. 2> In Residential Portfolio, the price of Flat they sell is in the range of 35 Lacs to 59 Cr. 3> In the commercial portfolio, they develop office and retail projects as income generating assets on lease model and sale model, with an increasing focus on the former. 4> The company has a good track record of completing projects from acquisition to launch to completion thereby improving Return on investment. Bad News for the Construction companies in the state where Solid Waste Managenent Policy 2016 was not implemented. Supreme court has banned all construction activity in Uttarakhand, MP and MH and many other states where policy has not been implemented. This is negative for Lodha. Realty firm Lodha Developers Ltd is likely to reduce the size of its initial public offering (IPO) following lukewarm interest from investors. When they first went out on the road shows they were looking at a ₹ 33,000-35,000 crore valuation. Now, they are considering a valuation of ₹ 26,000-28,000 crore. Buzz in the market that the valuations have become a problem for Lodha. What they are asking for and what the market is ready to give, there is a gap in that. Last year the company sold close to an area of 1 million square feet and as on date, they have unsold units close to an area of 3 million square feet. So it will take atleast 3 years to sell out the existing units. However, as per management, the growth in Affordable housing is good and the company has around 50% portfolio of the same. With the govt. initiative of housing for all by 2022, the Lodha group may get a good advantage in this segment but with a condition that Modi Govt’s come back in power next year else this scheme may get derail. Company sales are 8-10k in tough market. Post IPO debt-equity will be 1.6:1. Looking at the size 13-14k debt is not very high. MD has said that in 2 years the ratio will come down to 1:1. 1. Positive Operational Cash Flow, so that company meets out their expansion requirements and day to day expense with the internal accruals and don’t have to dilute equity or raise money via debt. 2. The company should have less debt on books. D/E<2. 3. The Company should have high ROCE ( >20%). I still remember how Dlf and other real estate companies like parsvnath Sobha developers ipo were launched with huge success and prove to destroy Investor wealth. Retailer usually lose heavy money if they remain invested in such companies with huge debt. Construction companies profit numbers are very volatile.only a few exceptions are there in private construction company which have given return .I would say avoid unless it price P/ e in single digit. I agree. Real estate companies have been mostly wealth destroyers.. Very high debt and infrastructure segment company. Totally avoid IPO, no need to do any analysis. Market never supports high debt companies. Many analysts try to convince by some arguments like it is mainly in residential segment. That is also not convincing me because of high debt and no boom in residential demand at present. Heard 30 rs Gmp…but i think not everywhere start….may be start soon…..
As per DRHP of Lodha Developers, the company was considering a private placement of 95 lakh shares aggregating upto ₹750 crores. Which translates into a price of about ₹789 per share. The RHP will have more details about the private placement. I think till today no GMP started for Lodha. Anyone heard about it? No Mitesh bhai. Haven’t heard from any reliable sources. Will update as soon as we hear it.. Please go through this https://www.lodhagroup.com/company/milestones-and-achievements to check how fairly company has done in last 13 years. All the real estates are not dull and also it is no matter whether the IPO is large or not. Promoters of Lodha Developers are trust worthy and have already completed some prestigious and vast projects. Now, if the fundamentals are strong and price band leaves some scope for investors, this IPO shall be successful one. Lodha – Strong connection with BJP, will this help the company? Political connection is always helpful for any business to flourish especially in India. I would skip this issue. Simple reason high debt on books and real estate company. We all know how the previous private companies real estate have performed in long run. DLF, parsvnath,omaxe and many others have destroyed investor wealth. In the commercial portfolio, they offer office space projects for IT campuses, high-end corporate offices and boutique office spaces, malls and other high street retail shopping complex. The Company’s residential portfolio comprises of affordable housing and premium housing consisting of luxury, high-end and aspirational developments. The company has a strong track record in the affordable housing segment. 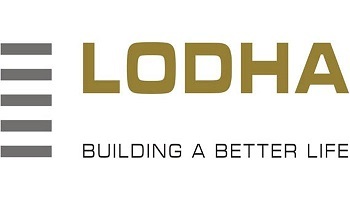 Moreover, the Government’ initiative of Housing for all by 2022 will definitely help companies which are there in the affordable segment and lodha group is having a good presence there as they have a Sales of ₹2751 Cr which was 39.5% of sales from affordable housing segment in FY17. The Promoters Mangal Prabhat Lodha, Manjula Mangal Prabhat Lodha, And Abhishek Mangal Prabhat Lodha As Trustees Of Mangal Prabhat Lodha Family Discretionary Trust (“Promoter Selling Shareholder”) Are Selling Close To 18000000 Equity Shares To The Public. Out of 18,000,000 Equity Shares, 450000 Equity Shares are reserved for Employee. 1. Lodha Developers expected to raise 5500 cr from the IPO. The Issue would be a mix of Fresh shares and OFS by promoters. 2. Lodha’s IPO would be the second biggest IPO in the real estate sector, after DLF that raised close to Rs 9200 Cr in 2007. 3. Lodha Developers will reduce the debt with the IPO proceed. Net debt on books is 18000 Cr which will be reduced by 4500 Cr after IPO. 4. The company has 37 ongoing projects, of which 35 are in Mumbai region and Pune in India and two in London. It is a real state company. The sector is laggard. Huge debt on books. Let us see how they priced IPO. Lodha Developers have around 17000 Cr debt on the books.